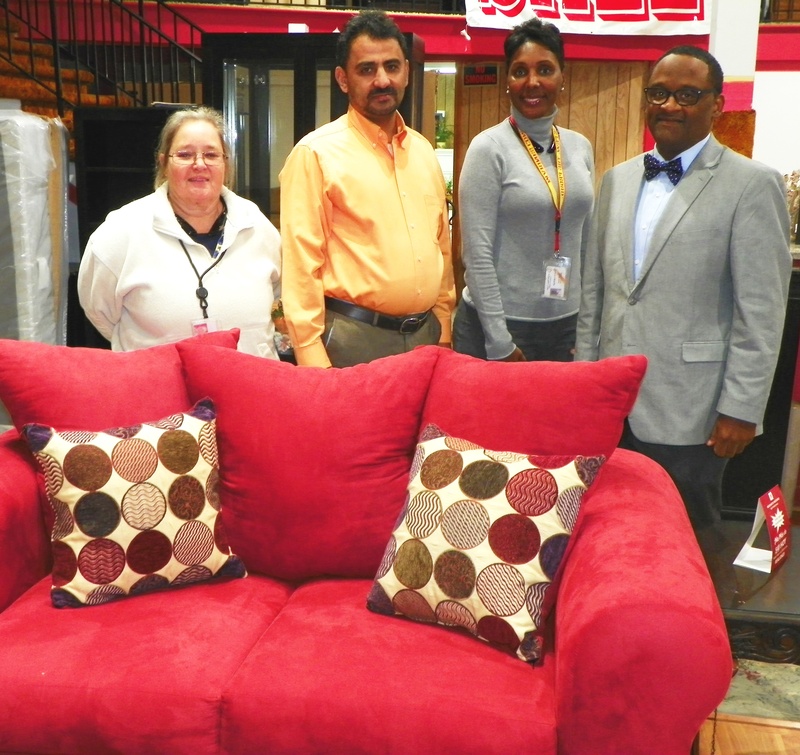 Abdo Saleh, owner of the Henderson Furniture Outlet in downtown Henderson, second from left in the accompanying photo, stands in his store with, from left, Becky Burns, Monika Evans and Principal John Hargrove, all of Henderson Middle School, as he donates a new sofa and loveseat to the school. Evans, the school’s social worker, and Burns, the school’s nurse, worked with Saleh to get the donation. School personnel were getting ready to take the new pieces of furniture to the school for placement in the main lobby area.